Heavy gauge metal recipe holder will hold a cookbook, digital tablet or recipe card/internet printout. 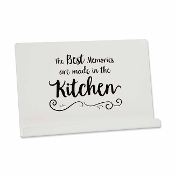 The Best Memories Are Made in the Kitchen sentiment makes this a unique and practical kitchen gift! 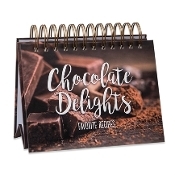 With 24 favorite chocolate recipes included for you to try and enjoy, and 24 blank cards for your own personal favorites, this recipe book makes a great gift. 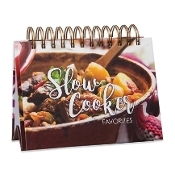 With 24 favorite slow cooker recipes included for you to try and enjoy, and 24 blank cards for your own personal favorites, this recipe book makes a great gift. With 24 favorite recipes and 24 blank cards for personal favorites, this recipe book is easy-to-use and makes a thoughtful wedding gift! 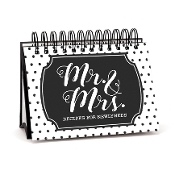 Give the newlyweds a gift they will treasure as they fill it with family favorite recipes! This Mr. Right and Mrs. 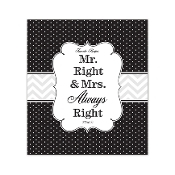 Always Right recipe binder is in a classic black and white design.